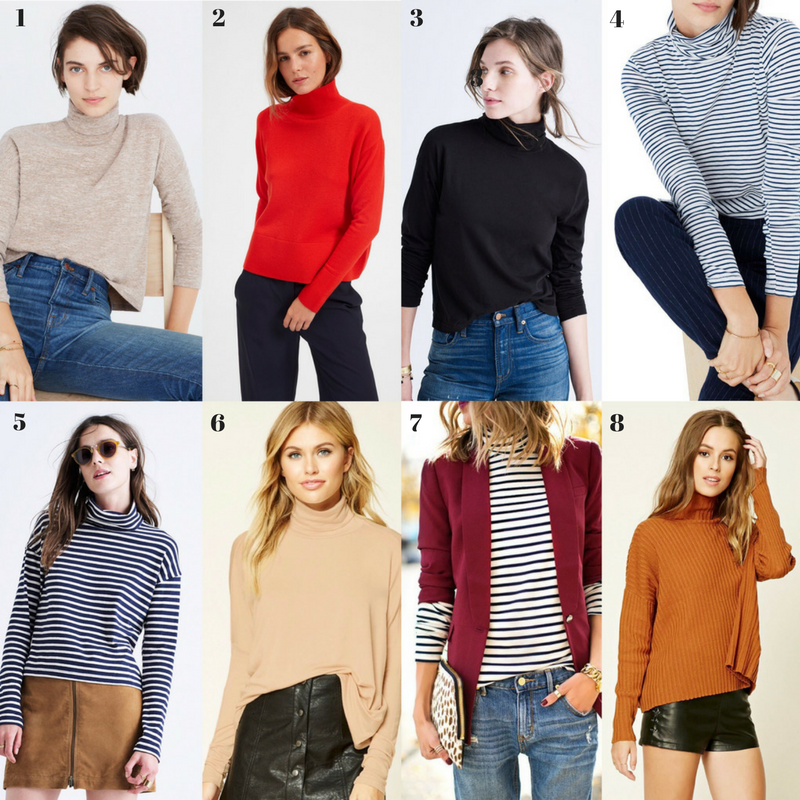 Meet our latest pattern – the Monroe Turtleneck! 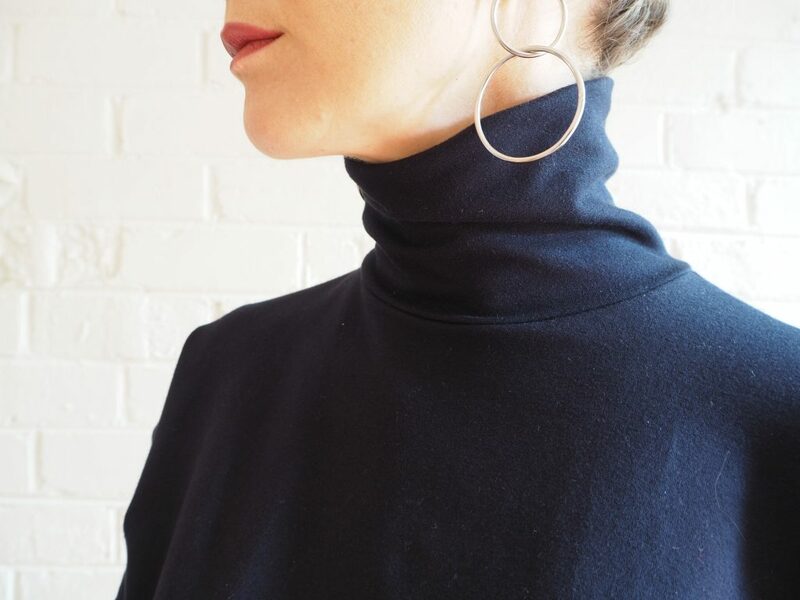 Featuring drop shoulders, a turtleneck collar and optional three quarter or full length fitted sleeves, Monroe is a super quick and super stylish sewing project. This top was unquestionably inspired by our (and your!) 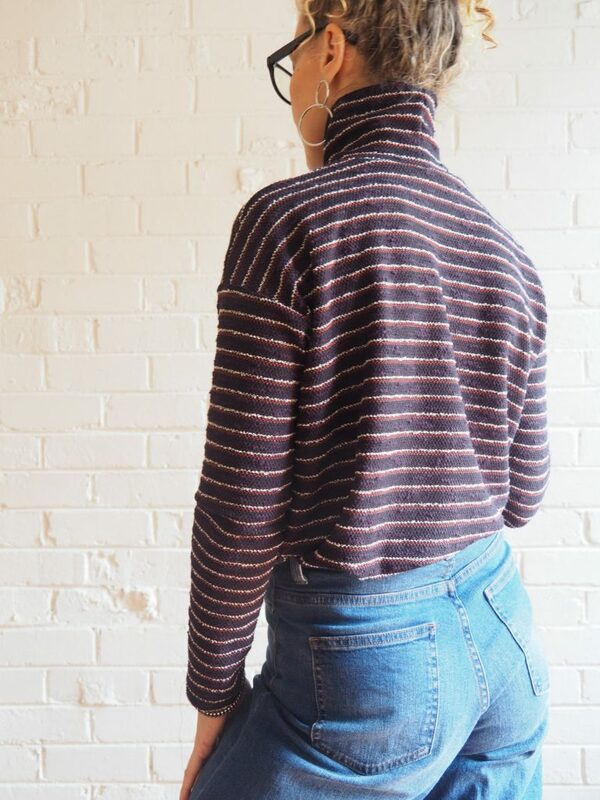 favourite freebie pattern – the Mandy Boat Tee. 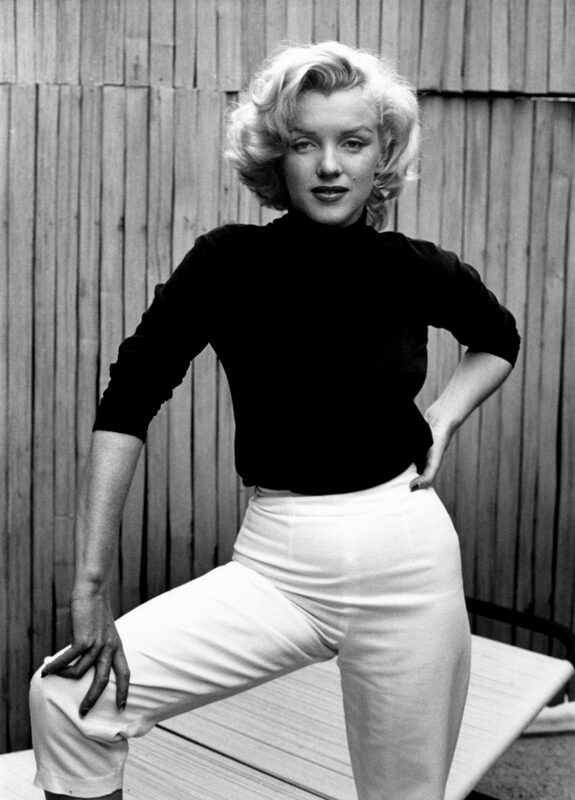 Basically, Monroe is Mandy but with the perfect turtleneck. Oh, and she comes in three sizes. The design is relaxed, classic and comfortable and is really the perfect autumn/winter wardrobe staple. The neck is designed to be snug (but not too snug) and long (but not too long). You can wear it upright or folded – whatever you prefer. 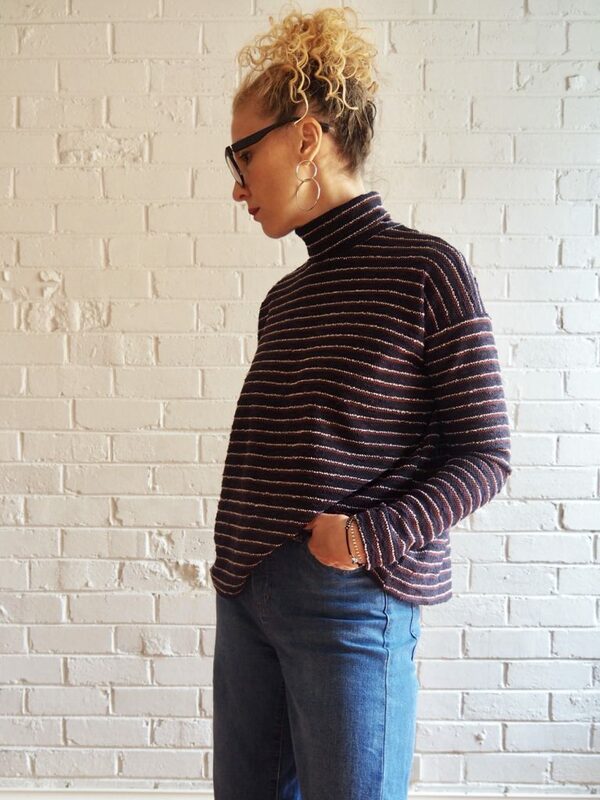 Suitable fabrics for the Monroe include stretch cotton, wool or viscose jerseys, lightweight pontis (this!) and knits with elastane, lycra or spandex content. The boucle stripe (above) is called Brisk Stripes and my plain version (below) is made up in Bosley French Navy. 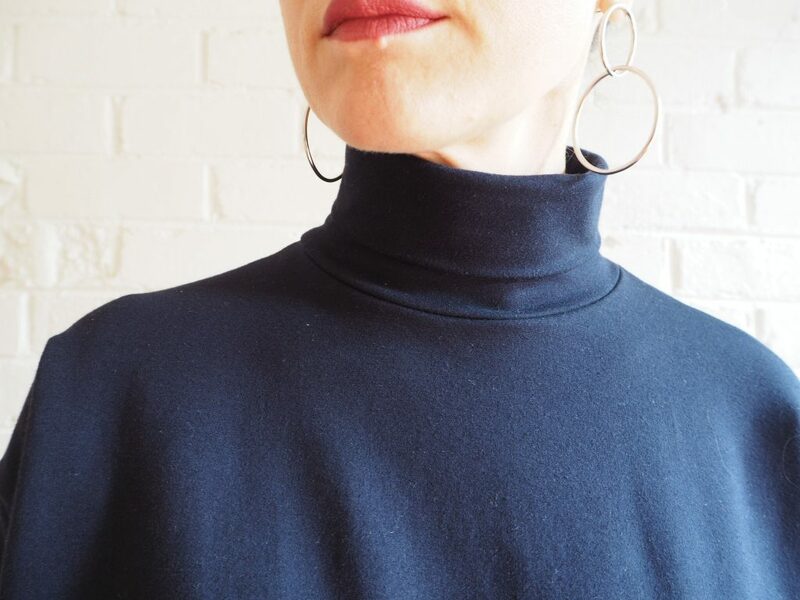 The Monroe Turtleneck is now available in Size 1 (XXS-XS-S), Size 2 (S-M-L) and Size 3 (L-XL-XXL). All sizes are included in the pattern. You can download the free PDF print-at-home/print copy shop version online or purchase a hard copy (for a limited time) online and in-store for AUD$15. 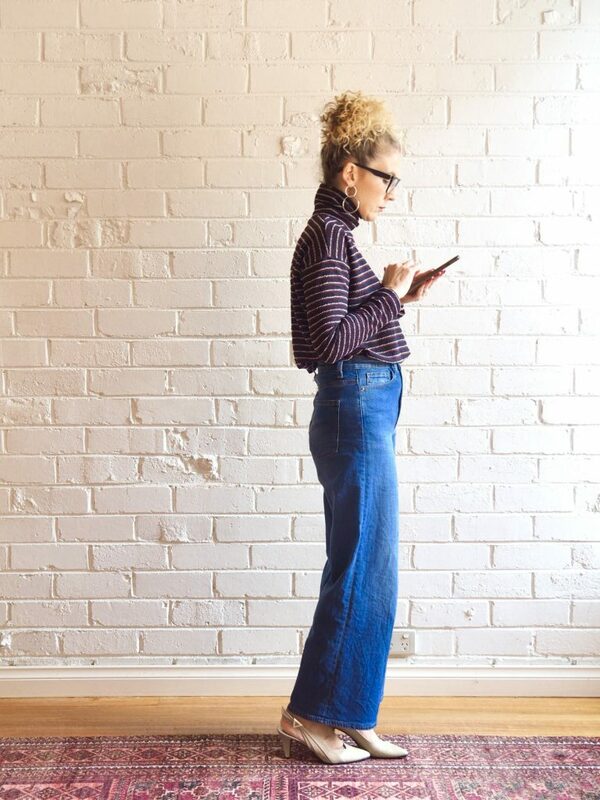 Hi there – love the top but where do you get those great wide-legged jeans from? Great outfit! It says you need an overlocker but can you sew it with a standard machine and just use the twin stretch needle to sew the entire garment? If you don’t have an overlocker, you can easily sew this on a sewing machine. Note that the twin needle sewing is only to finish off the hems of sleeve and top, not for sewing the entire top. Where we recommend to overlock, simply take the seam allowance required (3/8″) and sew with a suitable stretch needle/stitch setting on your machine and for extra stretch you can wind stretchy wooly thread onto your bobbin. Fab! Thanks so much for the pattern! Does the pattern give guidelines on what size a person should make for a particular bust size? Oh wow thanks for this. 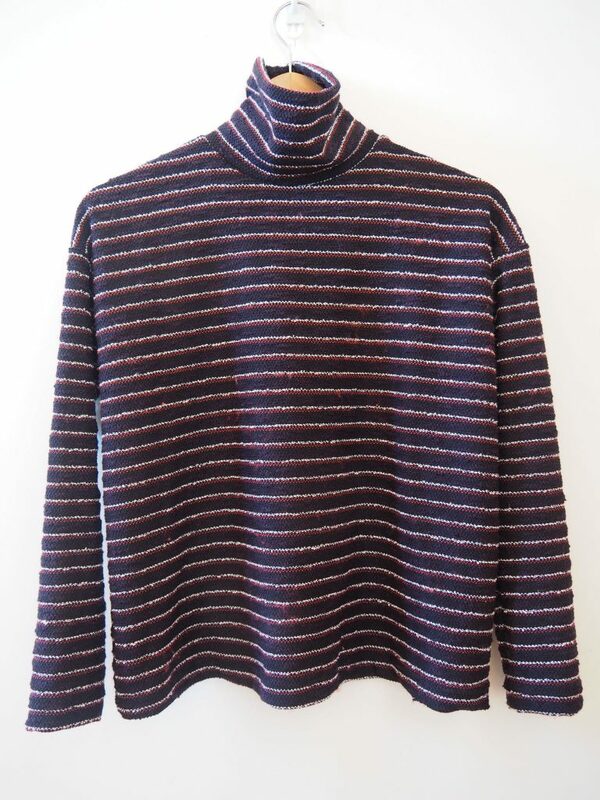 I just tried a Japanese turtleneck and it didn’t work out. I couldn’t even pull it over my head and my overlocker wouldn’t play nice with me. I’m definately going to try with this one instead. 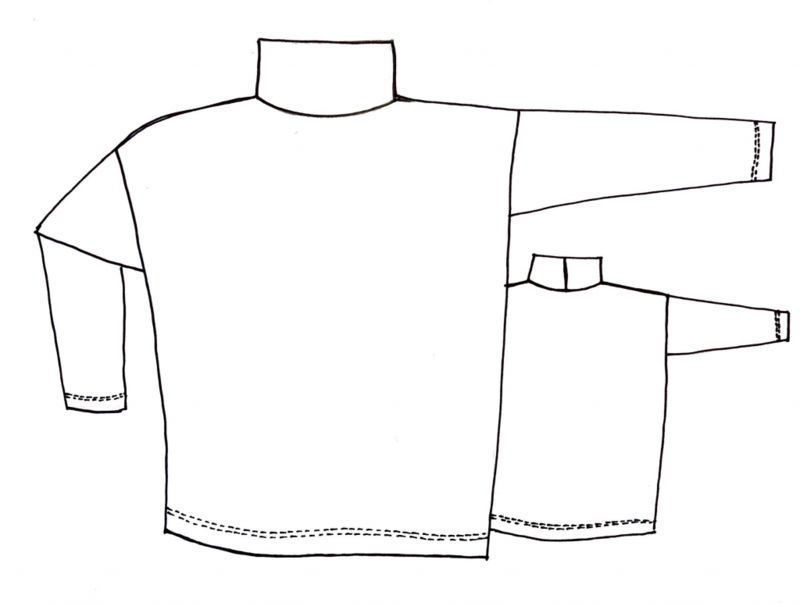 What is the suggested settings on the overlocker if I use a medium density knit? I think my problem was using a thin knit that just wouldn’t go through the feed dogs properly no matter what I tried. Love this pattern. I have a fabric that I’d like to use, but it stretches more in one direction compared to the other (50% compared to maybe 25%). Do you think this would still work, if I lay out the sleeves so that the stretch will happen in the circumference of the arm? And/or should I widen the sleeve pattern piece? Or would you recommend choosing a different fabric entirely that is equally stretchy in both directions?